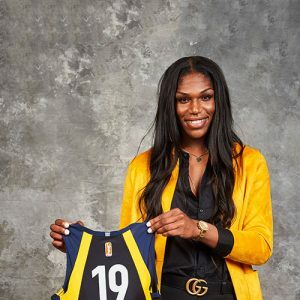 Stats: The Fever’s versatile first-round draft choice made significant contributions and improvement both offensively and defensively during her rookie campaign. Victoria Vivians averaged 8.9 points per game with 65 3-pointers while joining rookie teammate Kelsey Mitchell as the most explosive 3-point shooting rookie duo in WNBA history. Vivians moved into the starting lineup in mid-June and never relinquished her starting role, playing in all 34 games and starting 26. She shot 40 percent from the floor overall and from 3-point range, and was frequently hailed by head coach Pokey Chatman for her defensive efforts, often tasked with guarding top scorers or post players. 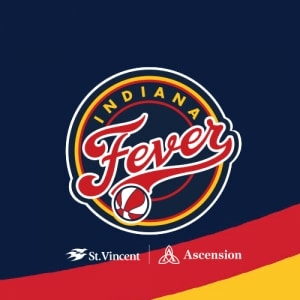 June 14 at Atlanta: Tasked with guarding All-Star and Olympian Angel McCoughtry in a matchup that seemed to fuel Vivians all season, the Fever rookie held McCoughtry to 4-of-11 shooting overall while scoring a then-season-high 13 points in what was her second game as a starter. June 16 vs Atlanta: Following a loss to the Dream two nights earlier, Indiana blitzed Atlanta to the tune of a 96-64 win and the club’s first victory. Vivians kept McCoughtry under 20 points for the second straight game and experienced her own offensive breakout with five 3-pointers and 21 points. Vivians had 11 points in a decisive third quarter in which Indiana outscored the Dream, 36-16. She was 4-of-6 shooting in the third period, alone, with three 3-pointers. June 27 at Connecticut: Vivians paced Indiana in a losing effort with 25 points and 10-of-14 shooting. 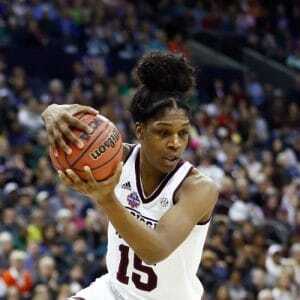 She hit five 3-pointers, added five rebounds and contributed three steals. July 1 vs Atlanta: Vivians buried five 3-point baskets for the third time in two weeks, scoring a season-high 27 points. She was 5-of-7 behind the arc and perfect on six free throws while also corralling seven rebounds and keeping McCoughtry under 20 points for the third time. 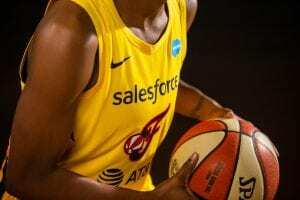 August 7 vs Seattle: All of Vivians’ scoring came in the first half, hitting five 3-pointers in the opening 20 minutes to fall one shy of the WNBA rookie record for 3-pointers in a single half.